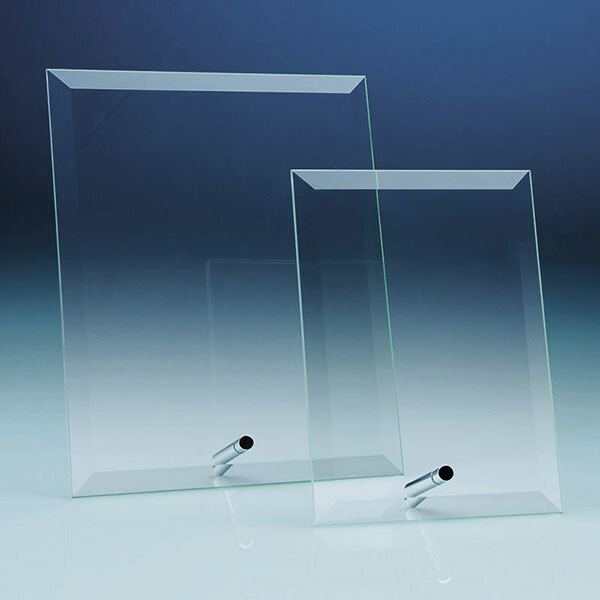 Bevelled glass plaques - fine quality 7in x 5in freestanding clear glass plaques with bevelled borders, in portrait orientation and with a metal pin support, ideal for engraving as corporate awards. 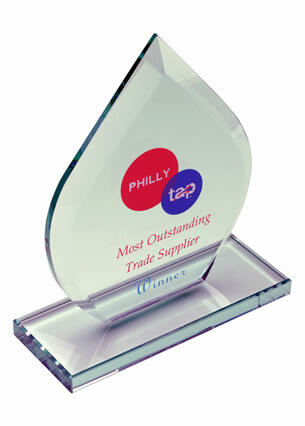 A clear winner! 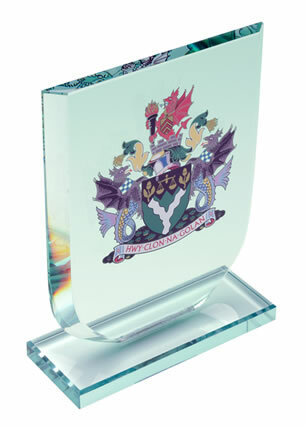 These classic desktop awards feature clear glass plaques with an elegant bevelled border. 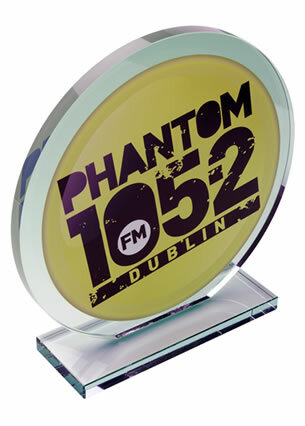 They are ideal for engraving with corporate logos and event or achievement details, and they are offered with engraving and/or colour print options. These freestanding 7in x 5in plaques feature a single metal pin to support them in a 'portrait' display position.